The data loss happens quite suddenly. You likely delete what important for you by mistake, drop your iPhone causing screen broken or lose files somehow due to virus attack. 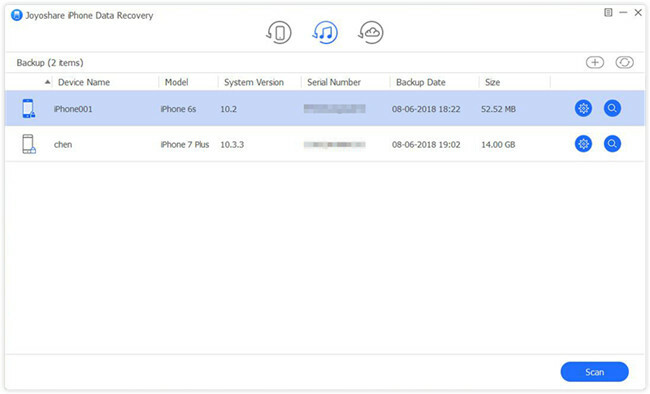 If you are using an iPhone 6 at present and has encountered a loss of data, you're advised to stop the pace here and go to learn quick guide to recover iPhone 6 data from your gadget or from backups, like iTunes and iCloud. 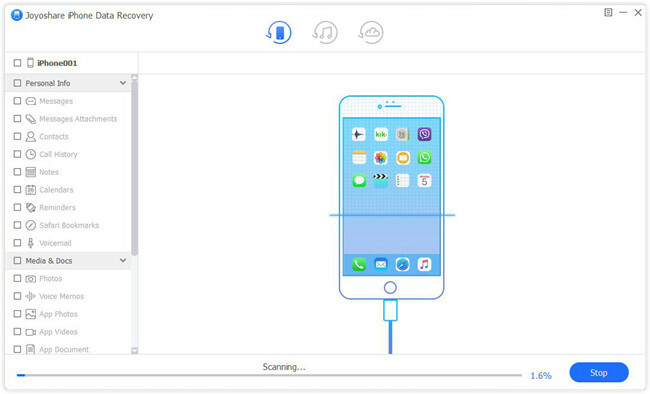 Using a data recovery tool to retrieve lost data from iPhone 6 is the most secure approach. It can perform as a trustworthy media to well protect existing data from being overwritten and damaged. This is why Joyoshare iPhone Data Recovery comes to rescue. It bends itself to recovering more than 20 types of iOS data at an amazing speed, including photos, messages, videos, contacts, reminders, WhatsApp attachments, call history, etc. 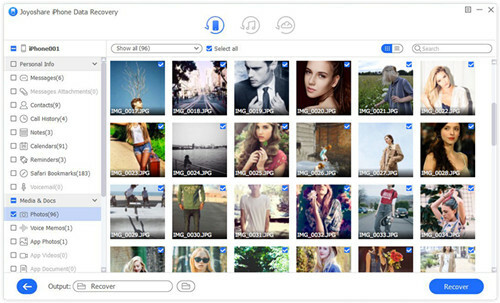 compared to others, Joyoshare iPhone Data Recovery takes up less disk space and offers handy option to preview results one by one in real time before retrieval. It's also flexible to restore iPhone 6 data fully or selectively as per your own needs and preference. This method benefits whoever has no iTunes or iCloud backups and can connect iPhone 6 to computer with no problem. You can download and install either Windows or Mac version on your computer to get started. 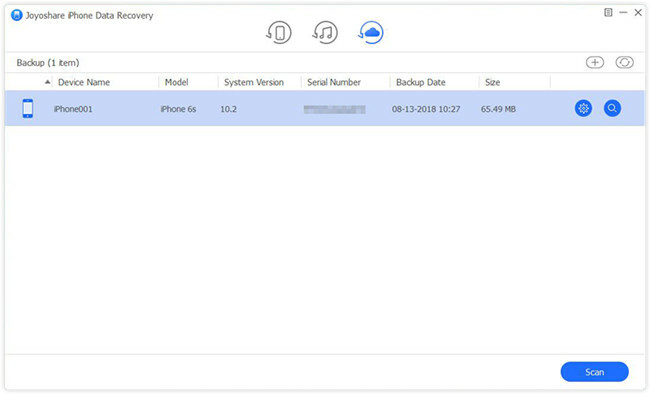 Run this iPhone 6 data recovery on your desktop and go forward to plug iPhone 6 into computer with a USB cable under "Recover from iDevice" mode. Remember to tap on "Trust" on your device if there is no connection before. 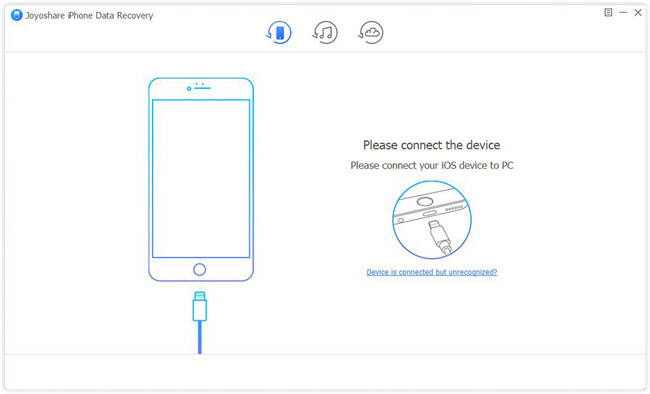 Joyoshare will automatically detect and recognize your iPhone 6 and at the same time show you detailed device info. By default, this program will check all iOS data types. You can decide to only choose what you need, like "Photos", "Messages & Attachments", "Safari Bookmark", etc. Then continue to click on "Scan" to begin scan. After scan, both deleted and existing data will be shown orderly for you to preview and choose. You can filter out unnecessary data or have a quick search. Look through all items one after another, get needed one selected and press on the "Recover" button at the right bottom. The one who has synced and backed up iPhone 6 data to iTunes can adopt this method. It allows you to recover data from iTunes with just 3 steps. Here's how. Likewise, launch Joyoshare iPhone Data Recovery on computer. Then you are supposed to switch the recovery mode as "Recover from iTunes" on the top navigation bar. All your created iTunes backups can be detected and displayed in a list, not only the common but also the encrypted. You can refer to the backup date, model, serial number, etc. pick up the most recent one and confirm data type by pressing the "Setting" icon on its right side. 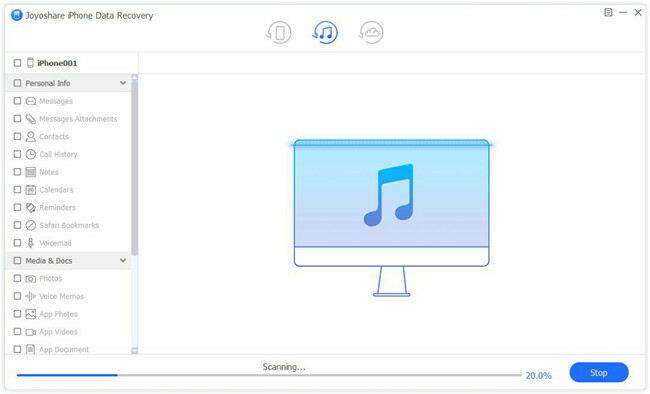 Click the "Scan" button to start fetching data from iTunes backup. There are various categories in the left column, which include all recoverable results in your sight. 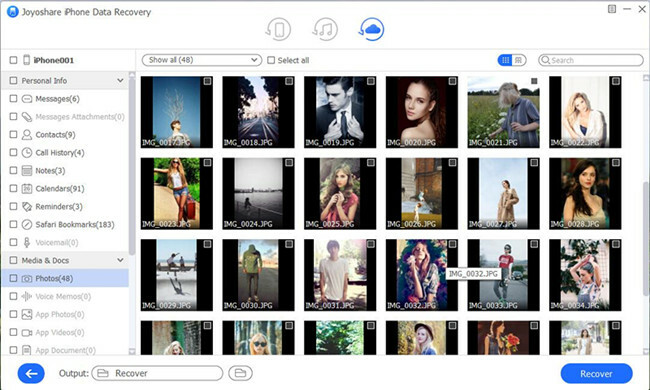 Have a preview and select desired iPhone 6 deleted data. Go to hit the "Recover" button to export them to computer. 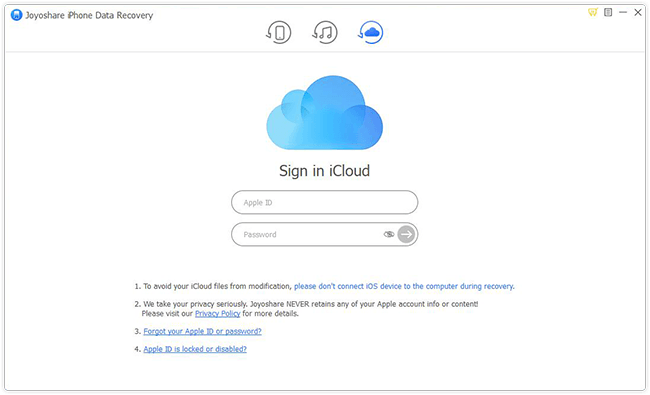 Open Joyoshare iPhone data recovery and go to sign in iCloud account under "Recover from iCloud" mode. Notably, the one who has turned on two-factor authentication will have to type in the random code as well before login. This program will show your synced iCloud backups after successful login. You can select the most relevant one, download it, choose data type and then click the "Scan" button to extract iPhone 6 data from iCloud. It will take a while to finish scanning data. 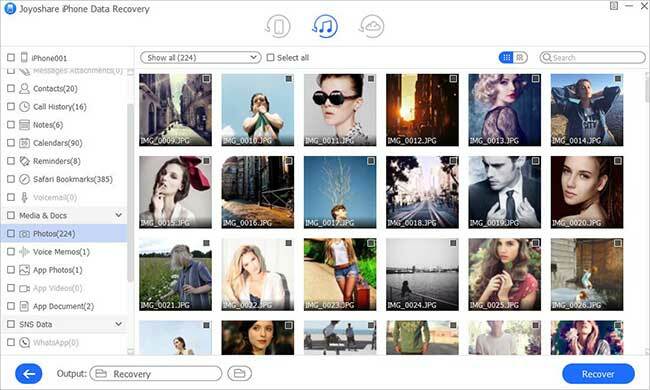 After that, Joyoshare will classify all scanned contents in different categories. Just go ahead to tick the checkbox of designated data and press on the "Recover" button to save them on computer locally.